Happy Halloween Giveaway - Enter daily! Hey lovelies! Can you believe October 1st is tomorrow and Halloween is just around the corner!? So to start getting into the holiday spirit come check out this awesome giveaway that I am participating in! There will be 5 big prize winners! Also, be sure to enter daily for more chances to win! Good luck! Happy National Coffee Day with Dunkin' Donuts - Free Coffee Coupon Valid Thru 12/31/15! Hi lovelies! Here is another wonderful celebration for National Coffee Day! Dunkin' Donuts is offering EVERY guest a coupon for a free medium cup of Dunkin' Donuts hot or iced Rainforest Alliance Certified™ Dark Roast Coffee. This coupon is not only valid for today; it can be saved and used anytime before 12/31/15. So keep the National Coffee Day party going and head over to your local Dunkin' Donuts! Sadly there is no Dunkin' Donuts in the state of Oregon so I won't be able to enjoy this awesome promo, but I will definitely be hitting up the other coffee day celebrations. If you are lucky enough to have a nearby Dunkin' Donuts definitely stop by to grab your free coupon. Even if you are already coffee'd out, the coupon doesn't expire today, and will allow you to have another special free coffee day when you want it. CANTON, MA (September 28, 2015) – Tomorrow, September 29, is National Coffee Day, and Dunkin’ Donuts will welcome the holiday by brewing several special offers for coffee lovers through the coming weeks. For National Coffee Day tomorrow, guests can walk into any participating Dunkin’ Donuts restaurant across the country and receive a free medium cup of Dunkin’ Donuts hot or iced Rainforest Alliance Certified™ Dark Roast Coffee, with a limit of one per guest. 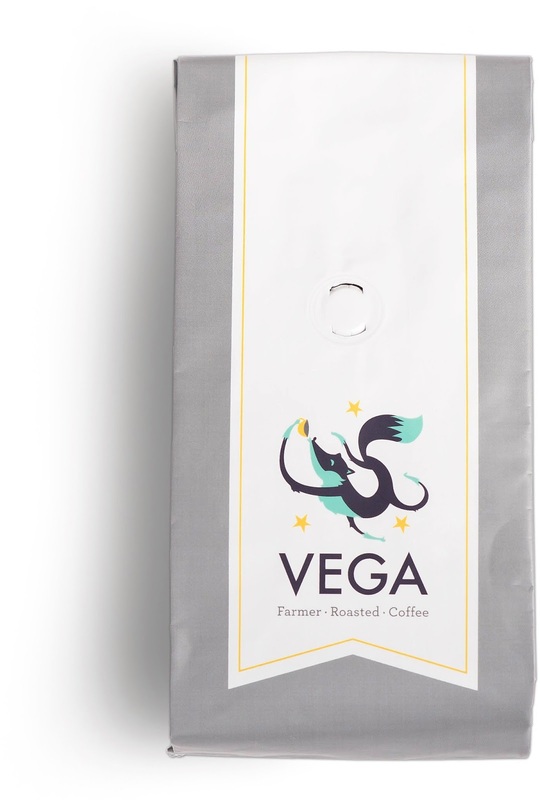 Made with 30% Rainforest Alliance Certified™ beans, Dunkin’ Donuts’ Dark Roast Coffee, which launched one year ago this month, uses a unique roasting process to create a bold flavor and smooth finish without the bitterness typically associated with most dark roast coffees. Snapchat Coffee Filter: This year Dunkin' Donuts is giving fans a new way to celebrate National Coffee Day by offering a one-day only Snapchat Geofilter design on National Coffee Day. The playful design features raining coffee beans to add even more fun to fans coming to Dunkin' to celebrate. The Geofilter will be available September 29 only, and can be unlocked at any of Dunkin' Donuts’ U.S. locations. 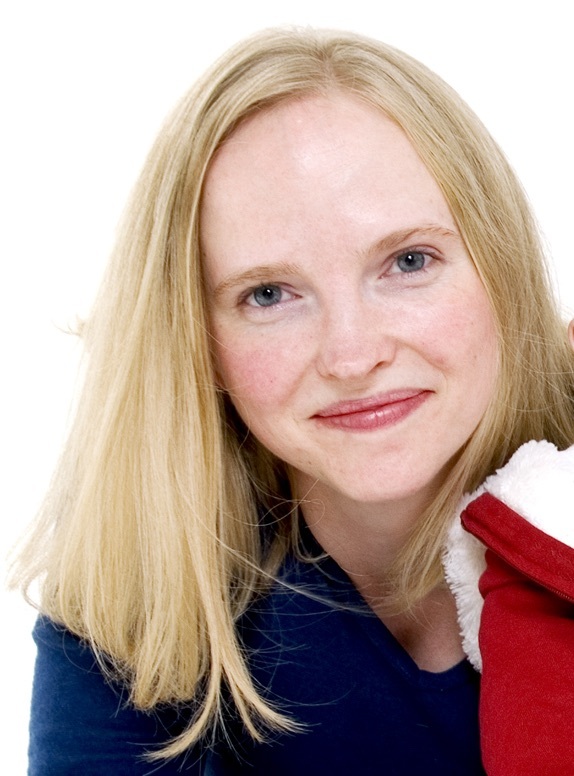 Amara Organic's Vitamin C Serum Giveaway - Enter daily! Hey lovelies! Come check out this new giveaway that I am participating in! Enter below for your chance to win Amara Organic's Vitamin C Serum! There will be 3 lucky winners so be sure to enter daily for more chances to win! Good luck! Amara Organic's Vitamin C Serum Giveaway! Three Lucky Winners will receive a bottle of Amara Organic's Vitamin C Serum valued at $60.00. 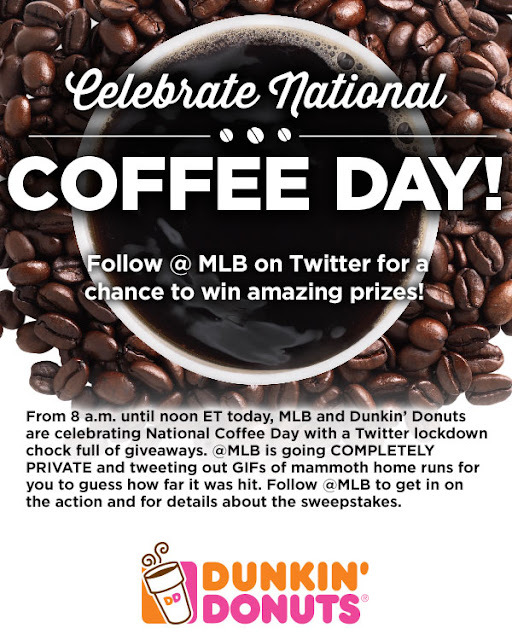 The National Coffee Day party continues with fabulous giveaway prizes on Twitter! MLB and Dunkin' Donuts have teamed up together for this awesome holiday celebration! From 8AM to 12PM (EST) MLB will be on Twitter (@MLB) and will be tweeting out GIFs of mammoth home runs for you to guess how far it was hit. So be sure to follow MLB on twitter to join in on the fun and win some exciting prizes! Happy National Coffee Day with Krispy Kreme! - Freebies! Good morning lovelies! 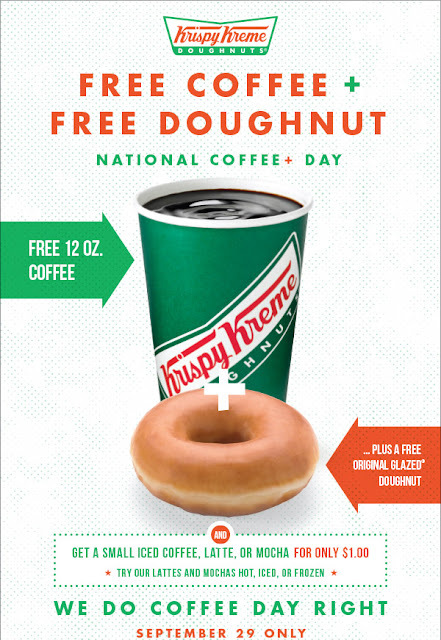 Today is National Coffee Day and Krispy Kreme is having a fabulous offer to help get your day started and celebrate this awesome holiday! Head over to your local Krispy Kreme to pick up your free coffee and doughnut! That's right - free! Breakfast is on Krispy Kreme! No coupon or promo code is needed to claim offer. Hey lovelies! Happy Sunday morning! 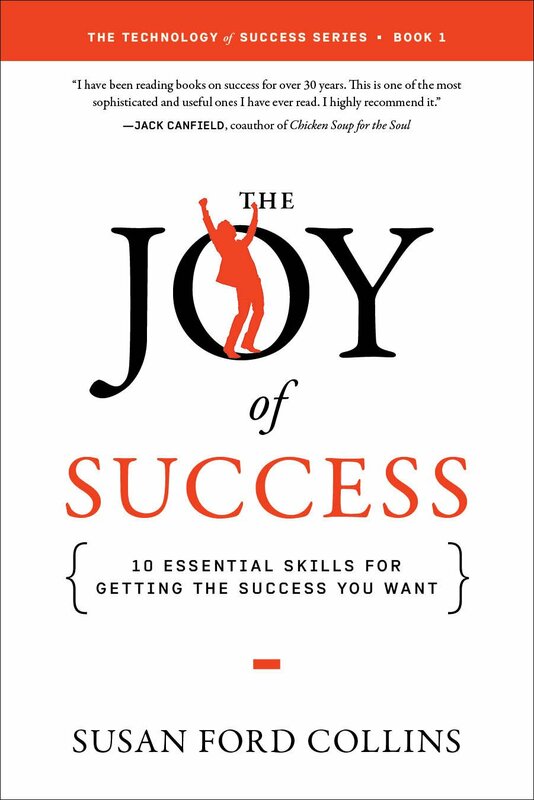 It is a beautiful sunny day here, which makes it perfect for this exciting new giveaway that I am participating in! Check out the details below for your chance to win a delicious Tastee Apples Package. Remember to enter daily for more chances to win! Good luck! 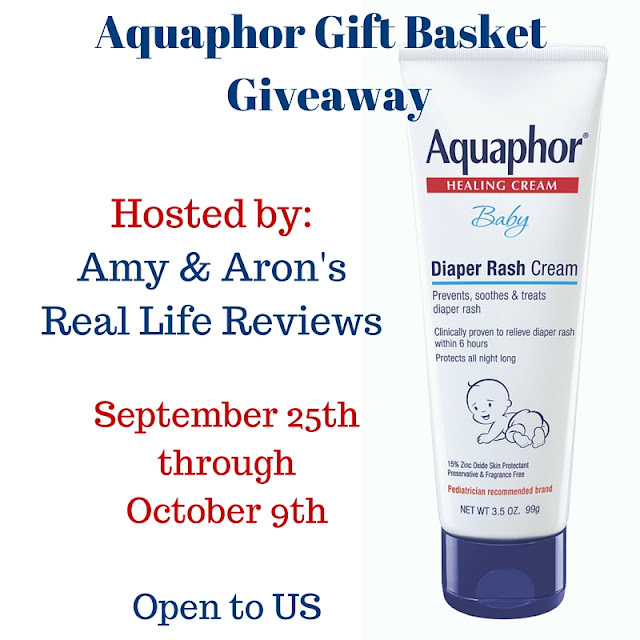 #Aquaphorit Gift Basket Giveaway - Enter daily! Hey lovelies! 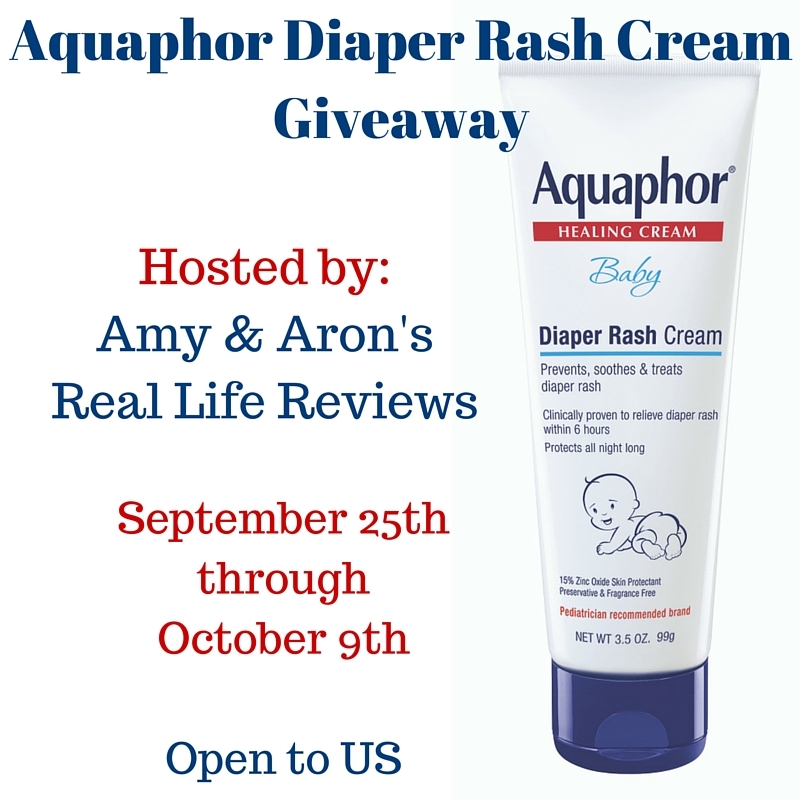 Let's kick this weekend off with another fabulous giveaway! Enter below for your chance to win an Aquaphor Gift Basket perfect for mom's or soon-to-be mom's. Be sure to enter daily for more chances to win! Good luck! Zeny New 6' Foamie Surfboard Giveaway - Enter daily! Hey lovelies! Come check out this awesome giveaway I am participating in! Although summer may be ending here in Oregon, surfboards never go out of style! So be sure to enter daily for more chances to win! Good luck! Disclosure: No compensation was received for this post. This post may contain affiliate links meaning that if you make a purchase a small commission may be paid. Will be 3 weeks long make sure if you are purchasing links they will be valid that long. We don't want blank entries. Sunshine Girl Blog is Hosting a Giveaway for 3 LUCKY Winners to Receive a Bottle Of Amara Organics Vitamin C Serum! They are $20 RV each so total Prize Package is Valued at $60. I CAN'T Do It Without Each and Every One of You! Now I Need Your Help Promoting! Thank you! STARSTRUCK – USA Today bestselling author Brenda Hiatt (Science Fiction/Sweet Romance/Coming of Age) The middle of nowhere gets a lot more interesting for an orphaned astronomy geek when the hot new quarterback inexplicably befriends her and strange things start to happen: her acne clears up, her eyesight improves, and when they touch, sparks fly—literally! The incredible truth will change her mundane life forever—if she survives! THE GATEKEEPER’S SONS – Bestselling author Eva Pohler (Greek Myths & Legends/Teen Fantasy/Paranormal Romance) Fifteen-year-old Therese Mills is heading home in the car with her parents when someone begins shooting at them, sending their car into a lake. She finds the strength to escape, and winds up in the coma that introduces her to the twin sons of Hades… and plunges her into the center of a war brewing between the Gods on Mount Olympus. SWORN TO RAISE – New York Times bestselling author Terah Edun (High Fantasy/Sword & Sorcery/Coming of Age/Action Adventure) When peasant girl Ciardis is chosen for a position at court, she travels across the empire to begin a new life. To survive, she’ll need to master intrigue, befriend a crown prince, and learn to control magical abilities she never knew existed. ATLANTIS RIPTIDE – Bestselling author Allie Burton (Mermaids/Clean Romance/Sci-Fi Fantasy/Genetic Engineering) Pearl ran away from the circus, tired of her adoptive parents’ abuse of her special skills. Unknownst to her, a battle rages under the ocean and each side wants to use her powers for their cause. As Pearl discovers her talents she must choose her destiny – ignore the churning seas or swim into battle. SAVING MARS – Bestselling author Cidney Swanson (Science Fiction/Teen Romance/Action Adventure) Jessamyn pilots a ship to Earth to steal food for the Mars Colony at a time when Earth-Mars relations couldn’t be worse. Breaking rules of no contact, Jess falls for Pavel, nephew to Earth’s Chancellor, but when Jess’s brother is captured, she must choose: rescue her brother or her planet? 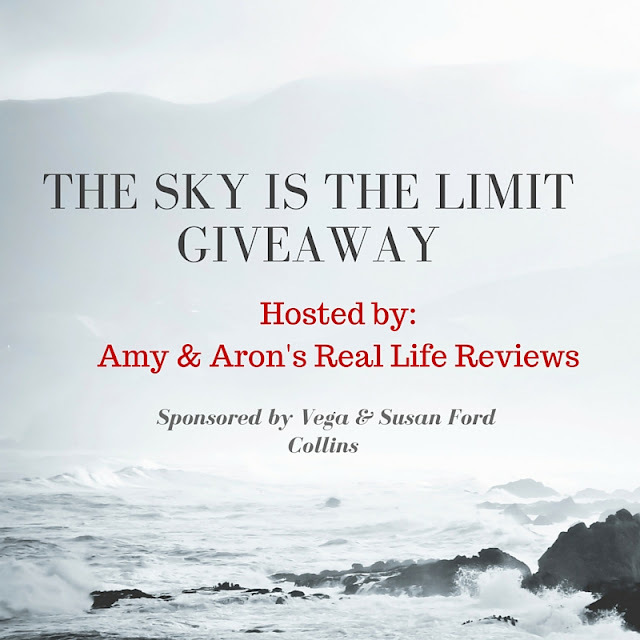 Book Blast Giveaway $100 Amazon Gift Card or Paypal Cash Ends 10/16/15 Open only to those who can legally enter, receive and use an Amazon.com Gift Code or Paypal Cash. Winning Entry will be verified prior to prize being awarded. No purchase necessary. You must be 18 or older to enter or have your parent enter for you. The winner will be chosen by rafflecopter and announced here as well as emailed and will have 48 hours to respond or a new winner will be chosen. This giveaway is in no way associated with Facebook, Twitter, Rafflecopter or any other entity unless otherwise specified. The number of eligible entries received determines the odds of winning. Giveaway was organized by Kathy from I Am A Reader and sponsored by the author. VOID WHERE PROHIBITED BY LAW. The Let's Get Creative Giveaway - Enter daily! Mighty Mug Giveaway - Enter daily! Dreampad 26 Pillow Giveaway - Enter daily! 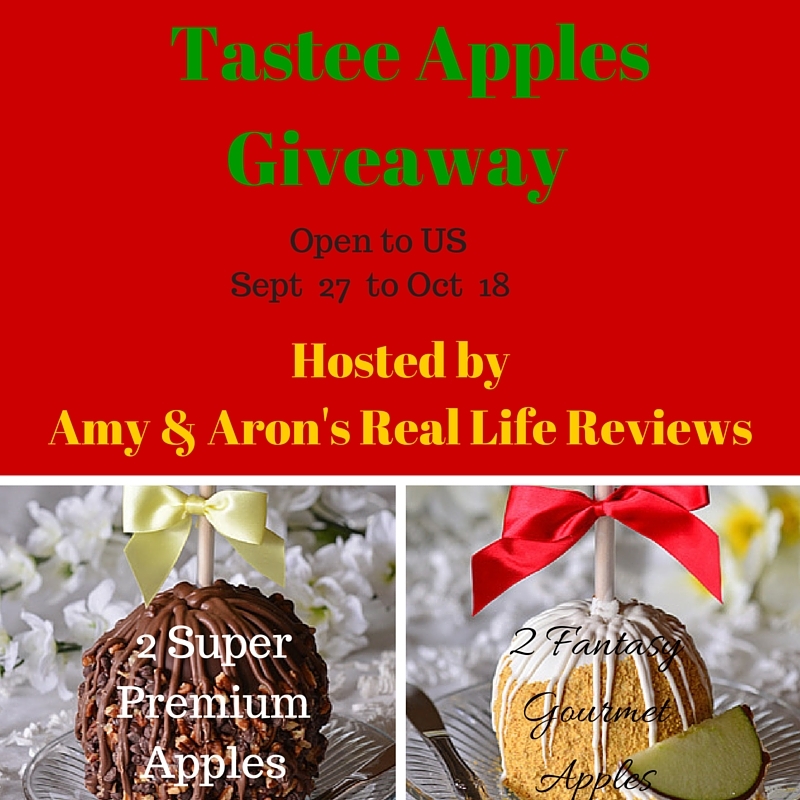 Fall Healthy Snack Giveaway - Enter daily! Life Tire Gauge Giveaway - Enter daily! Happy National Step Family Day! World Play-Doh Day Giveaway - Enter daily! 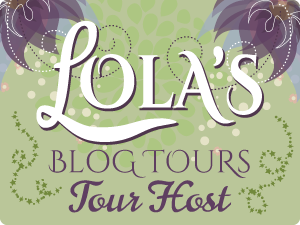 Captive by Ashley Smith Giveaway - Enter daily! End of Summer Camp Party Giveaway - Enter daily! Evgie Wall Design Giveaway - Enter daily! $250 Coach Handbag Giveaway - Blogger Sign Ups! Home Touches Giveaway - Enter daily! 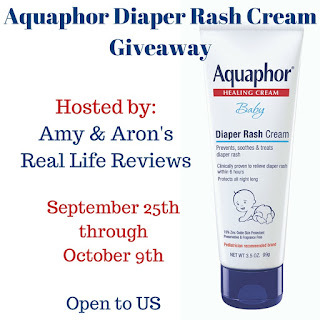 Baby Care Basics Giveaway - Enter daily! National Read a Book Day Giveaway - Enter daily!